On the first Saturday in December you may have seen a few foxhounds dashing into some of our local shops. Early canine Christmas shopping perhaps? Actually the hounds belong to the pack of the Middleburg Hunt parading through town to begin the annual Christmas in Middleburg celebration. In our foxhunting community the mantra of the season is “hunt early and hunt often”. The holiday season brings not only wonderful hunting but also a myriad of hunt oriented social events such as hunt balls and hunt breakfasts. Some hunt breakfasts are nighttime formal affairs, which appear to those not involved with foxhunting to be a contradiction in terms. How can you have a breakfast at night? In foxhunting tradition breakfast was served whenever the field returned from hunting and sometimes that is not until dark. 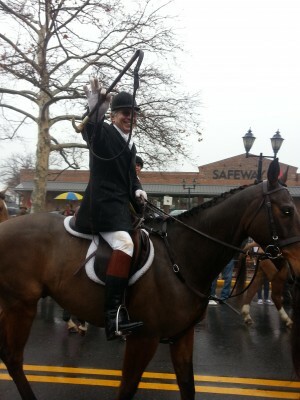 This year the Middleburg Hunt rode through town in a pelting rain. Not to be discouraged by the damp, the members rode off to foxhunt and returned home soggy but happy. Those who did not immediately take to the warmth of their beds found their way to a hot shower and changed to attend an evening hunt ball or breakfast. Holiday hunt breakfasts such as the ones at Huntland or Utopia are very dressy with women in long gowns and gentlemen in black tie or evening scarlet (foxhunters version of white tie and tails). During the Christmas season many of the noontime breakfasts are also sumptuous and very festive. 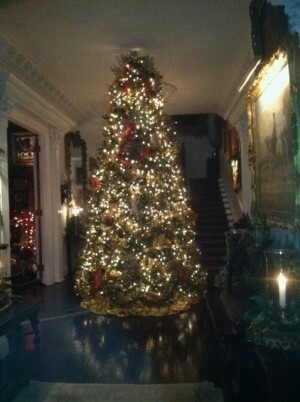 Christmas tree in Rose Marie Bogley’s entry hall. 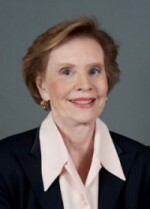 One of the more glamorous breakfasts is hosted by Rose Marie Bogley at her historic estate in Upperville following a joint meet of the Piedmont and Potomac foxhounds, an event guaranteed to put even Ebenezer Scrooge into the Christmas spirit. The décor is Christmas on steroids, truly magical. Upon arriving guests are greeted by an enormous and beautifully decorated Christmas tree in the entry hall that seems to rival the one in Rockefeller Center. Every room in the house is elegantly decorated with a completely decorated Christmas tree in every room including the bedrooms. The fires crackling in the fireplaces offer a warm welcome to the members of the field who are returning from a day of chasing Mr. Fox. As we melt down into the calm of the New Year and can once again find a parking space in town we reflect on how blessed we are to live in such a beautiful part of the world with such spectacular Christmas traditions.